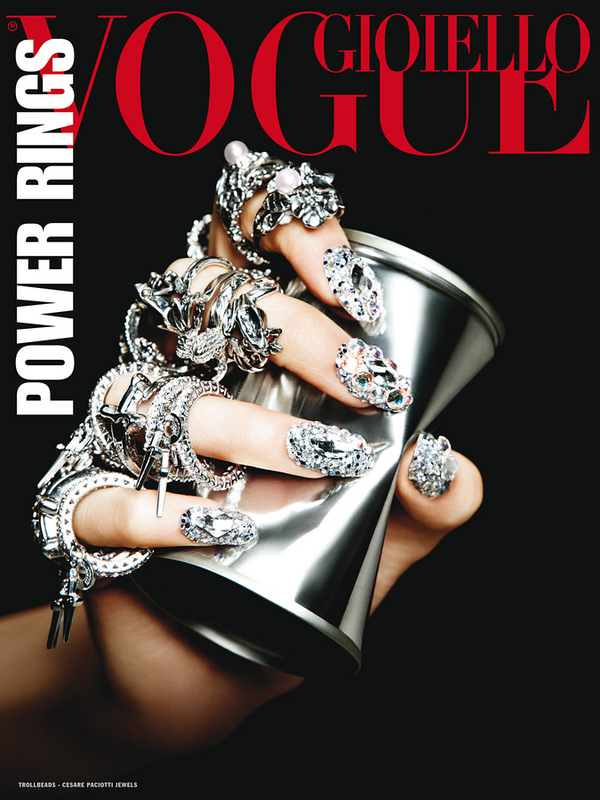 Whether shooting with some of the most iconic photographers in the industry or working on the major advertising campaigns of Balmain & Hermes, a humble girl from Brooklyn, known only as Honey, has helped elevate the nail industry throughout fashion and beyond. 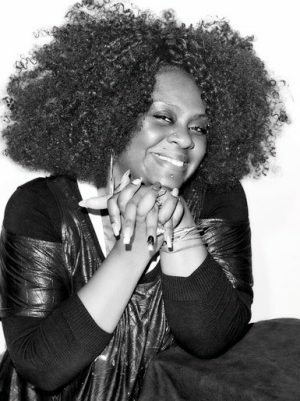 We chatted with honey and got to know a little more about this amazing woman & talented artist. A visual artist/painter. I just wanted to paint rainbows! WHAT MUSIC/ARTIST WERE YOU INTO GROWING UP? HOW AND WHEN DID YOU BEGIN YOUR NAIL CAREER? 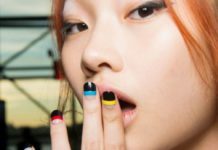 How did you get started doing nails for fashion? It all started in 2004. I was working at a salon in the East Village and someone came in asking for a manicurist for a photo shoot with Steven Klein….. it all happened from there. IF YOU COULD LIVE ANYWHERE BESIDES WHERE YOU ARE, WHERE WOULD IT BE? WHAT’S YOUR FAVOURITE THING TO DO WHEN NOT WORKING? WHAT’S YOUR FAVORITE, GO-TO NAIL COLOR OF ALL TIME? You will get more out of a ‘hands-on’ class than youtube. Make sure you have all mediums of nails down (acrylic, gel, nail art, etc) you need to come fully stocked with knowledge, passion & drive to do great nails. Stay humble….. big heads are so transparent, we can see right through you. HOW WOULD YOU DESCRIBE YOUR OWN PERSONAL NAIL STYLE? What’s the best career advice you’ve received ? 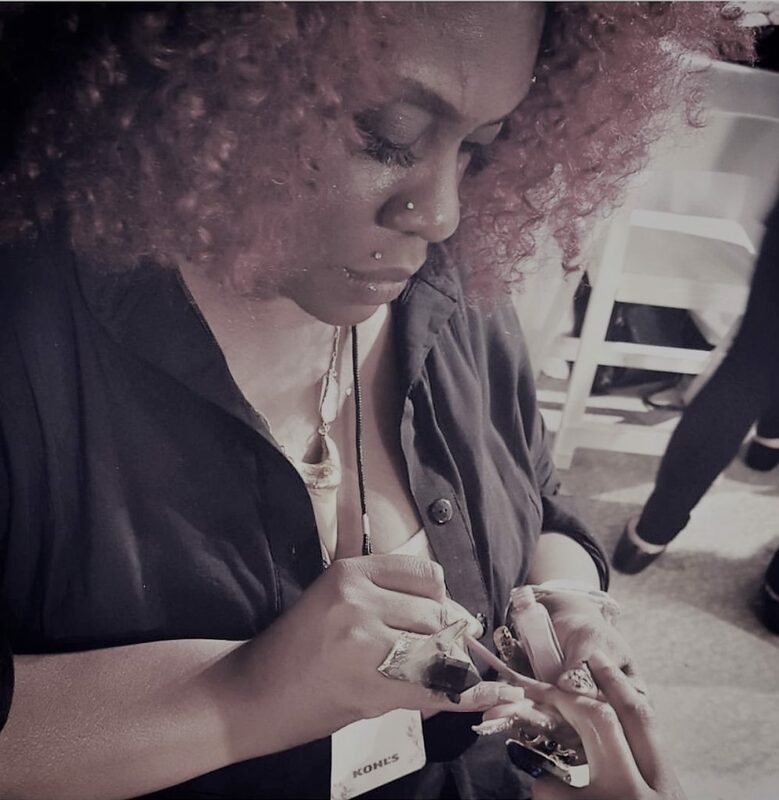 Best advice I ever received, was to stay on top of your game with continuing education by going to beauty shows, nail classes, etc. My Mentor/Teacher was a gangster nail tech in Jamaica, Queens. She took us to shows to compete, so we could see our flaws. She always had educators come into the school, like the late Tom Halcomb and Japanese Artists to show us techniques, etc. WHAT’S NEXT FOR YOU, IN YOUR CAREER? I’m creating, Honey potion of oils……coming soon!